for $5,450,000. The lot size is 24.9000 Acre(s). 136, 700 +/- sq.ft. 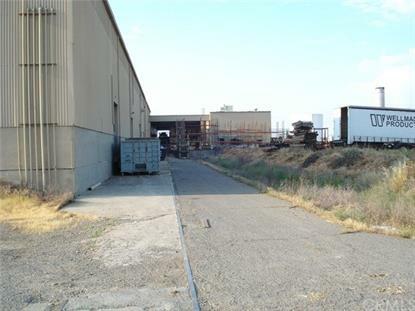 Manufacturing and Office Facility located on 24.9 acres with City Water and Sewer. The property is completely fenced. Zoning is IH. The Owner's records indicate that the facility was originally constructed in 1960 and the square footage was 119, 720 sq.ft. Two additions of about 17, 000 +/- sq.ft. were completed in 2007 for a current total of approximately 136, 700 square feet. Buyer to verify total square footage. The Office area consists of approximately 10, 150 square feet. Pre-engineered insulated metal construction. Clear height varies throughout facility between 22 to 29 feet. Six Dock Height Doors. BNSF Rail spur has not been used or serviced for many years. Full sprinklered. 172 lighted parking spaces. 4800 amp, 3 Phase 480 volt electrical system. Great location only 2 miles from Highway 99.